What better way to celebrate a storied 90-year history in the fashion world than by staging an extraordinary and unique fashion event at Rome’s iconic Trevi Fountain with none other than Kendall Jenner opening the show? Such was the case yesterday in the Eternal City as celebrities including Kate Hudson, Bella Thorne and Lottie Moss joined the fashion glitterati which included Vogue International Editor Suzy Menkes and fashion blogger Chiara Ferragni for Fendi’s second ever Haute Fourrure Show, entitled “Legends and Fairytales”. Karl Lagerfeld, the long time Creative Director of Fendi, was also of course on hand as his elegant, whimsical designs inspired by the illustrations of the early 20th-century Danish illustrator Kay Nielsen took center stage before a star-studded crowd at the otherworldly once in a lifetime event. Founded in Rome nine decades ago, FENDI opened its first boutique in 1926 in Via del Plebiscito, featuring a small fur atelier and leather goods workshop. Still today, the luxury Maison not only continues to host in-house ateliers and creative temples where highly-skilled artisans convey all their expertise to unique creations, all made-in-Italy, it simultaneously continues a tradition of great revolutionary worldwide achievements, avant-garde experimentation, unlimited research and innovation, proposing new luxurious and modern fur designs and accessories. To mark the occasion, The Maison is also releasing the “FENDI Roma” book at the San Luca Academy inside Palazzo Carpegna, alongside “FENDI ROMA – The Artisans of Dreams” exhibition at Palazzo della Civiltå Italiana. The exhibition, open to the public from 9th July, is conceived to celebrate the Maison’s unique fur craftmanship and creativity, founding and distinctive elements of the luxury Roman House’s core values. 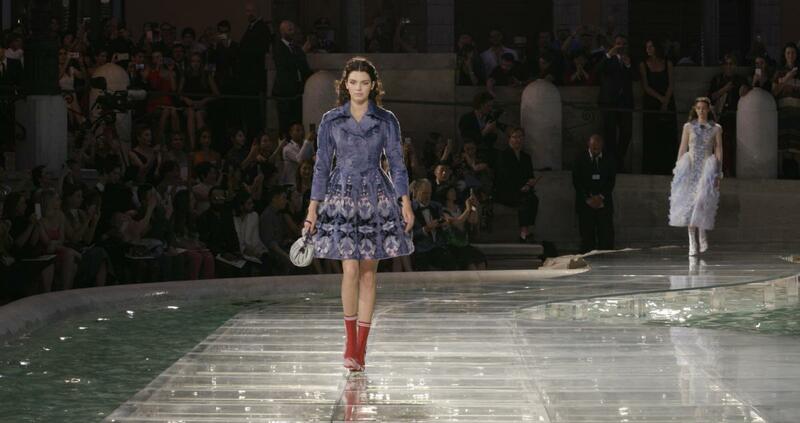 Find out more about all things Fendi by clicking here.